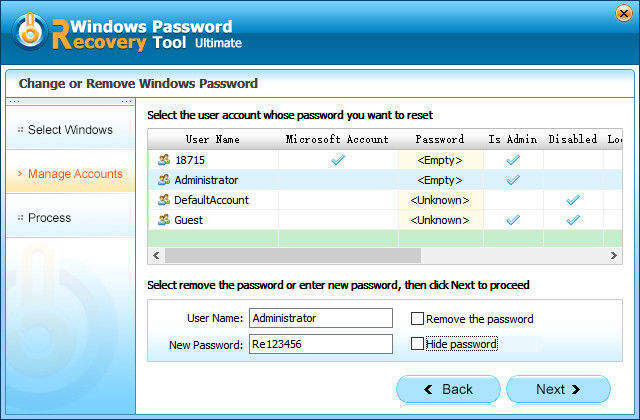 Tenorshare’s Windows Password Recovery Tool is possibly the ideal Password Reset Tool for the Novice PC user? 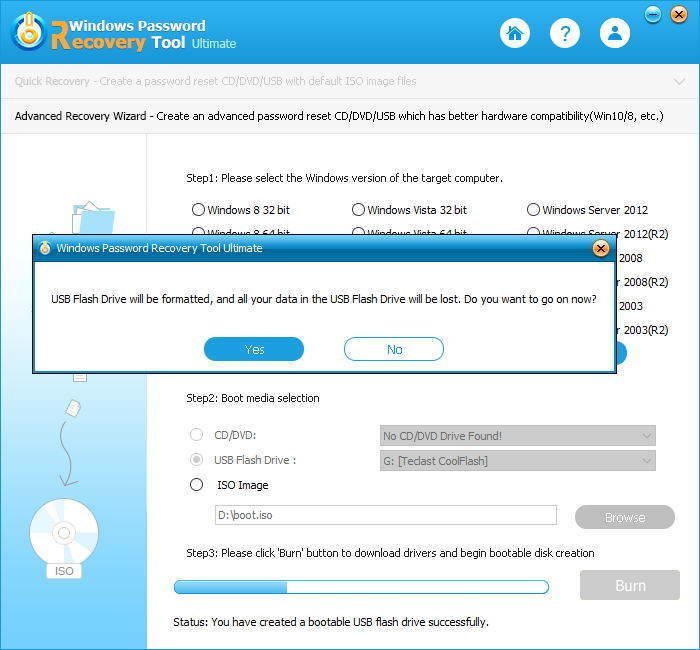 If you’re an advanced user or technically savvy then Tenorshare windows password recovery tool may not be the right choice for you. Having said that though, there are some nice features advanced users may like. This includes being able to add PE raid drivers and customizing the boot image for specific OS’s. 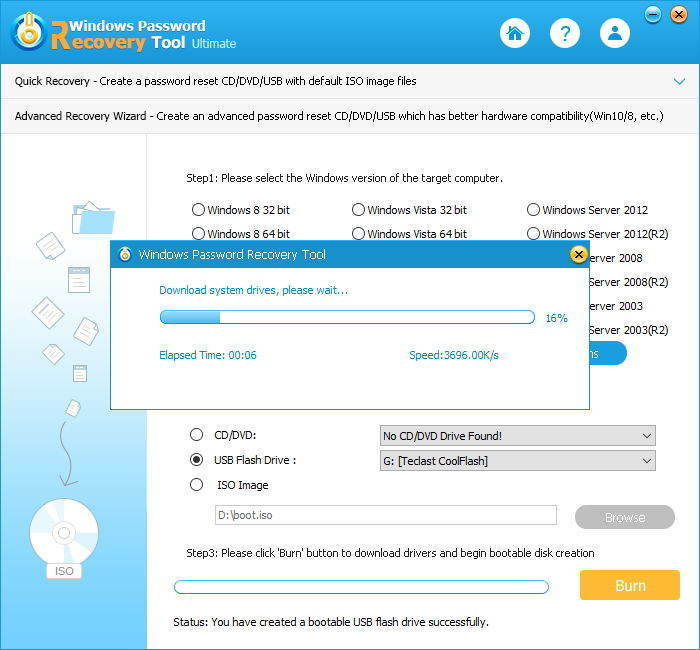 If you’re a novice user or have very little understanding of the dynamics of Windows passwords and really aren’t interested in learning then Tenorshare Windows Password Recovery Tool may very well be the right choice for you. And yes, I am aware there are freeware versions of similar programs, but they lack the support, features and documentation that Ternorshare apps provide. Microsoft has adopted UEFI (in place of BIOS) boot standard. To change, reset or remove Windows 10/8.1/8 password, make sure you’ve disabled UEFI secure boot. 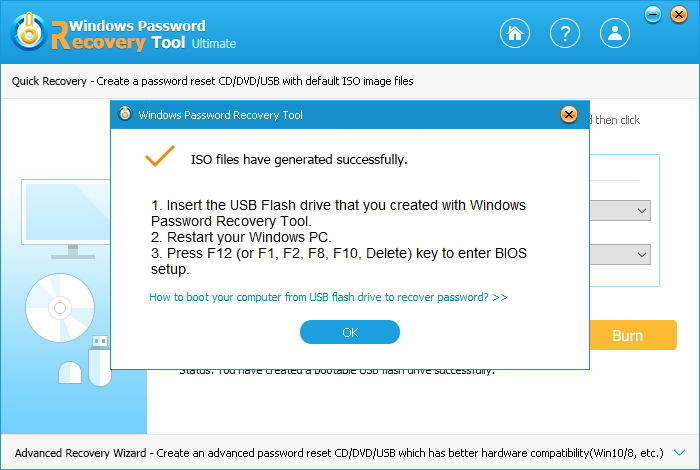 In this mode, you can use the default ISO image file provided by Windows Password Recovery Tool to burn a bootable CD/DVD or a USB flash drive. If your computer can’t read the default ISO image, please go to Mode 2. 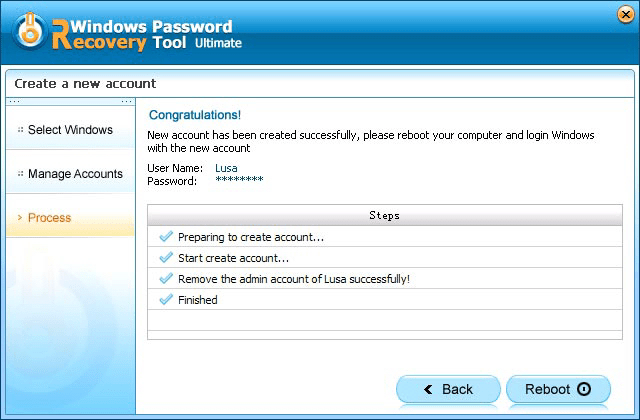 Run Windows Password Recovery Tool and choose your password reset medium. Click “Burn” to starting burning a password reset disk. 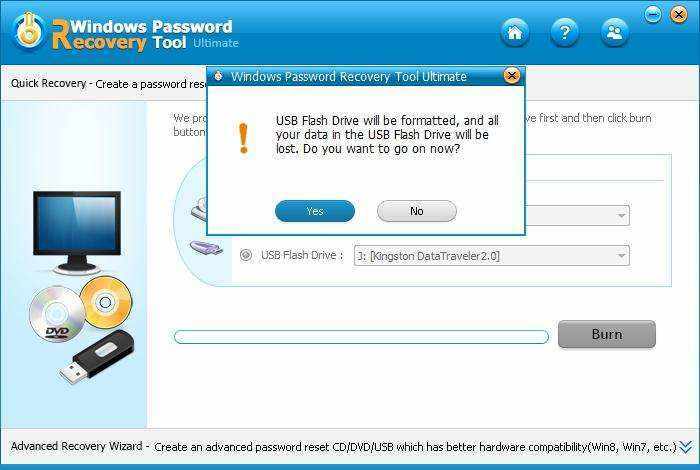 Click “Yes” button when the program prompts you that the USB Flash Drive will be formatted. After the burning process completes successfully, click “OK”. 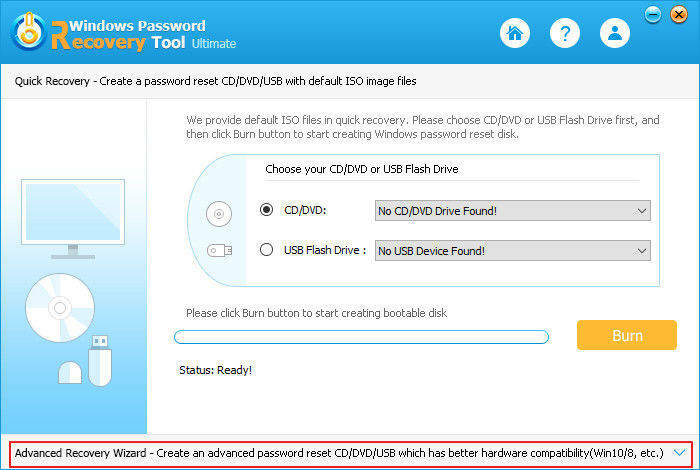 You can also burn a bootable CD/DVD or a USB flash drive with Advanced Recovery Wizard. It will help you select the Windows version of the target computer more precisely and burn bootable disk quickly. Now, let’s see details. 1. 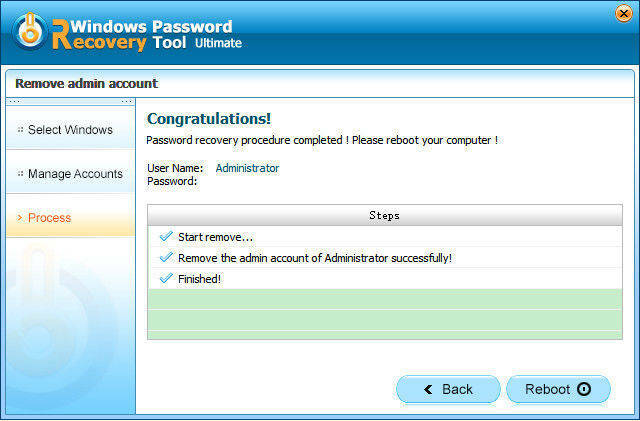 Run Windows Password Recovery Tool program. 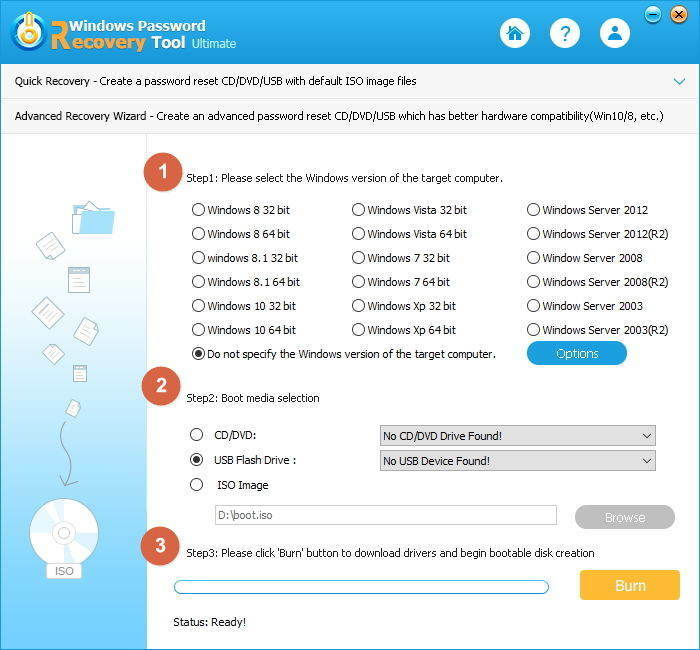 And click the link at the bottom of the interface labeled as “Advanced Recovery Wizard – Create an advanced password reset CD/DVD/USB which has better hardware compatibility”. 2. 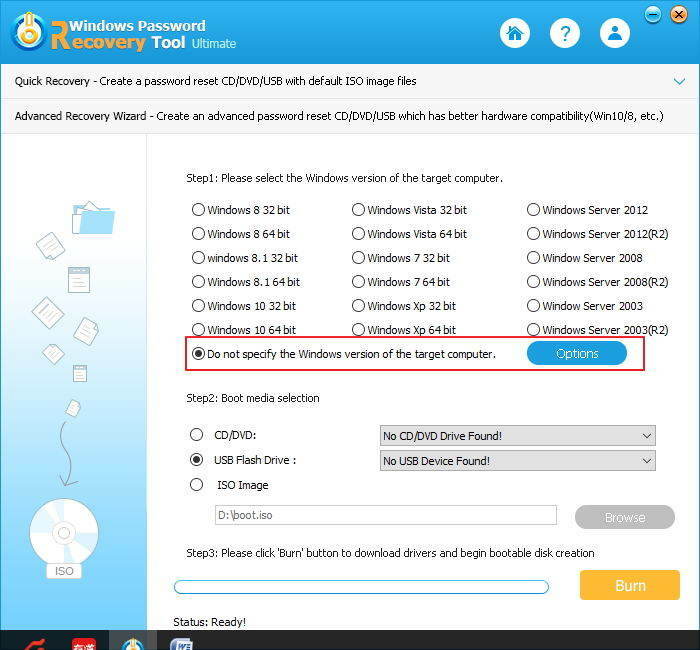 Now select the Windows version of the target computer, and choose CD/DVD or USB flash drive to make boot disk (you can also store bootable data in an *.iso file). 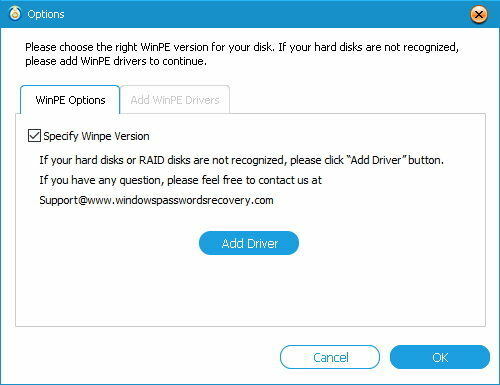 You can add WinPE drivers (RAID disks) if your hard disks are not recognized. Click on “Options” next to “Do Not specify the windows versions of the target computer”. In the pop-up window, switch to “Add WinPE Drivers”, select the “Specify WinPE Version” option to add your driver. If you select boot media as ISO Image, the bootable data will be stored on your local computer (in D:\boot.iso by default). This is very convenient and quick for you to boot a disk next time. 3. Click on “Burn” and then the tool will start to download system drives and you should only wait for a few minutes. 4. After it finishes downloading system drives, click on “Yes” in the pop-up window. Your password reset disk is created successfully. Then turn to the computer which is locked with a forgotten password. Insert the newly burned CD/DVD or USB flash drive to it. And set BIOS to boot computer from CD/DVD/USB. The computer will attempt to enter to the system burned on your disk, rather than hard drive. 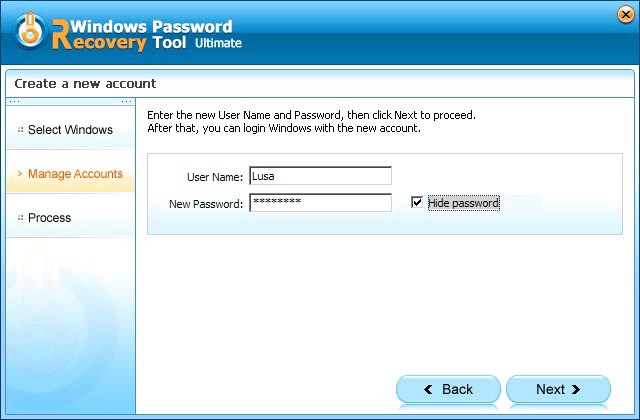 After it fully loads, you will get the interface of Windows Password Recovery Tool under WinPE. 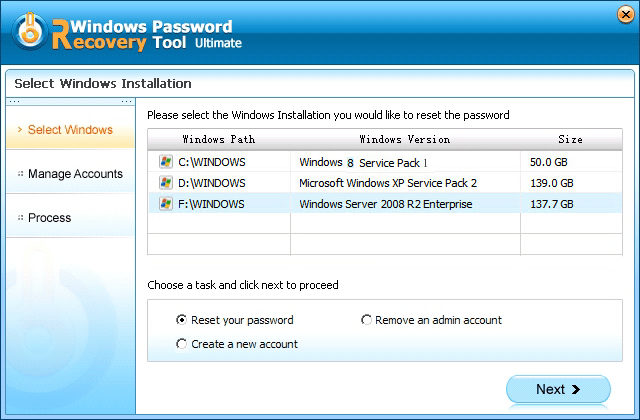 1.Select the Windows installation you would like to recover password, and tick “Reset your password”. Click “Next”. 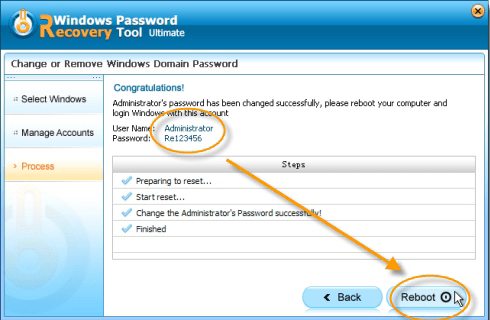 Both Advanced Recovery Wizard and Quick Recovery support to reset Microsoft account password, which shares the same steps of Windows local account password reset. Like the following image shows, your Microsoft account name is usually the email address you used to sign in to your Microsoft account, for instance, Georgegrey@gmail.com. 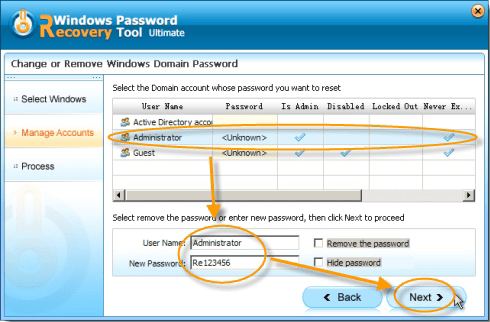 2.Select the account to which you want to remove password. The Default new password is Re123456. And you can manually type a new one. Click “Next” to reset the password. 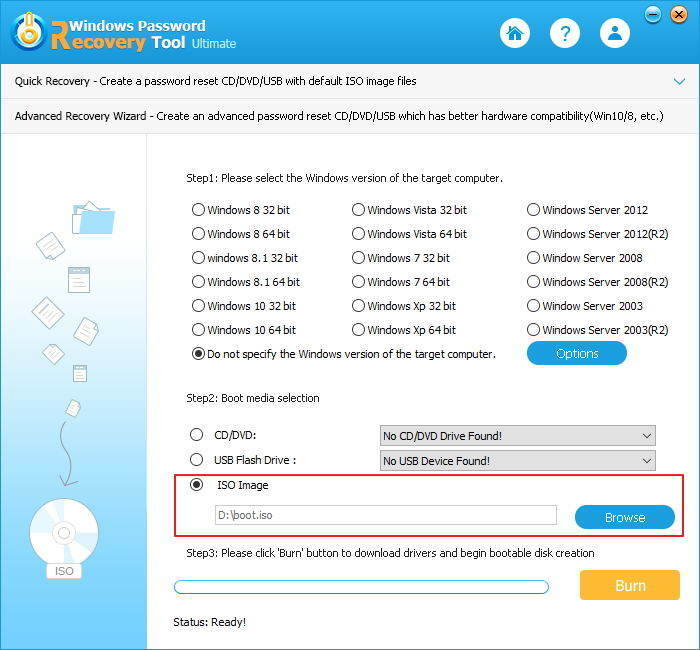 Both Advanced Recovery Wizard and Quick Recovery support to reset Microsoft account password, which shares the same steps of Windows local account password reset. Like the following image shows, your Microsoft account name is usually the email address you used to sign in to your Microsoft account. 3.You have recovered the password successfully. Click “Reboot” to restart your computer and login Windows system with the new password. Once your Microsoft login password is reset successfully, you don’t need any password the first time you log in. While the second time you log in with this account, you should use the password you just reset. This option allows you to delete an unwanted account. Before removing, make sure there is no vital data stored there. Once removing the account, you will lose all information in that account. 1. 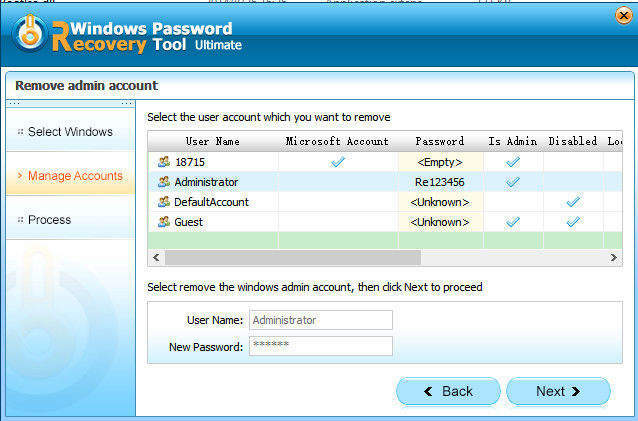 Select the Windows installation you would like to remove the password, and then choose “Remove an admin”. Click “Next” to proceed. 2. Select the user account you want to remove and click “Next” to continue. 3. Your password will be removed successfully. Click “Reboot” to restart your PC and login Windows with other accounts. 1. Select the Windows installation you want to create a new account for, and tick “Create a new account”. And click “Next”. 2. Enter the new user name and password, and then click “Next”. 3. You have created a new account successfully. Click “Reboot” and login into your Windows system with the new account and password. Note: please eject the CD/DVD/USB before restarting your computer. 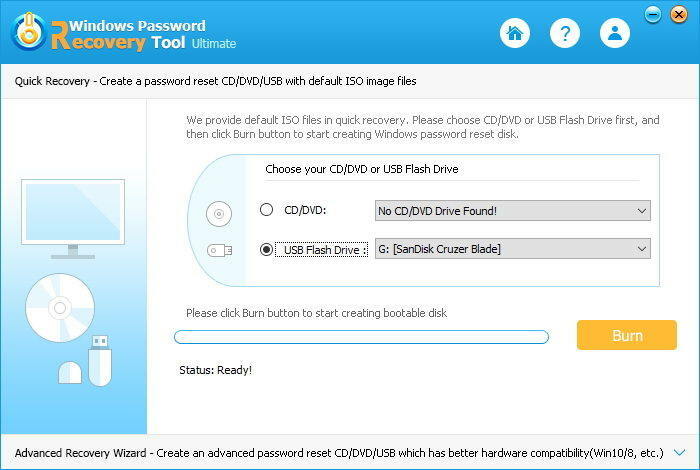 Can burn to CD/DVD, USB or create an ISO file which is great for testing on virtual systems.